CIPA custom towing mirrors are a quick and easy way to get added vision while towing. These towing mirrors are designed to slide right over your existing side view factory mirrors, making installation simple and easy. 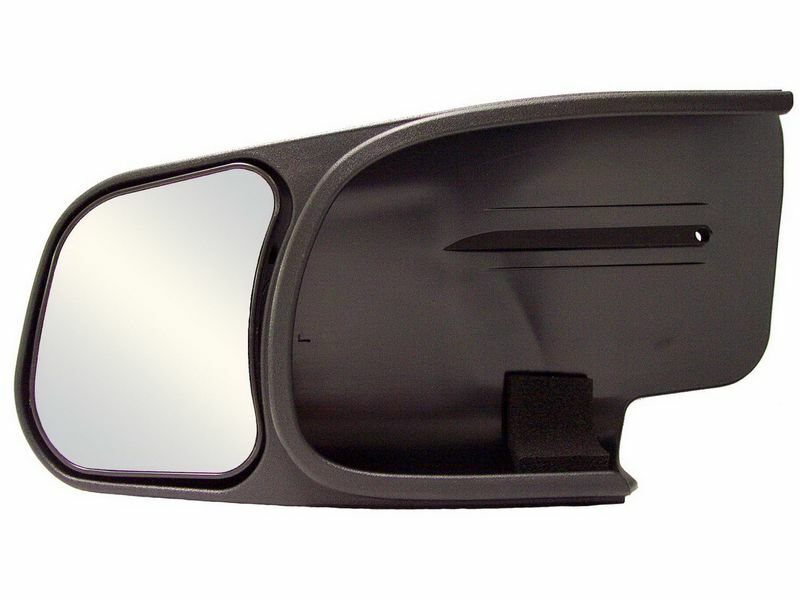 CIPA side view towing mirrors are well known for their high-quality OEM lenses and housings. Adding a pair of these towing mirrors to your side view mirrors will give you more confidence and make towing much safer for you and others on the road and when you are not towing a trailer, simply remove them. So if you are looking to add towing mirrors to your truck but don't want to break the bank, then the CIPA custom towing mirrors are perfect for you. Get yours ordered today! All CIPA mirrors including the custom towing mirrors have a one year warranty against defects in materials or workmanship. If you have any questions please let us know at 877-216-5446. CIPA custom towing mirrors are simple to attach to your truck or SUV as they just mount right over your factory mirrors. If you have any questions please let us know at 877-216-5446.